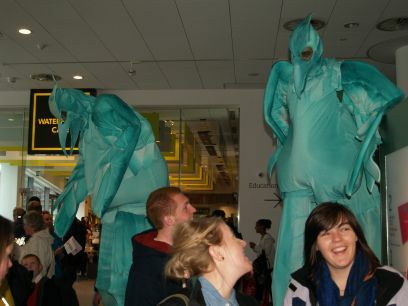 Museum of Liverpool: Some lively 'Liver Bird' figures on stilts at the opening 'festivities'! 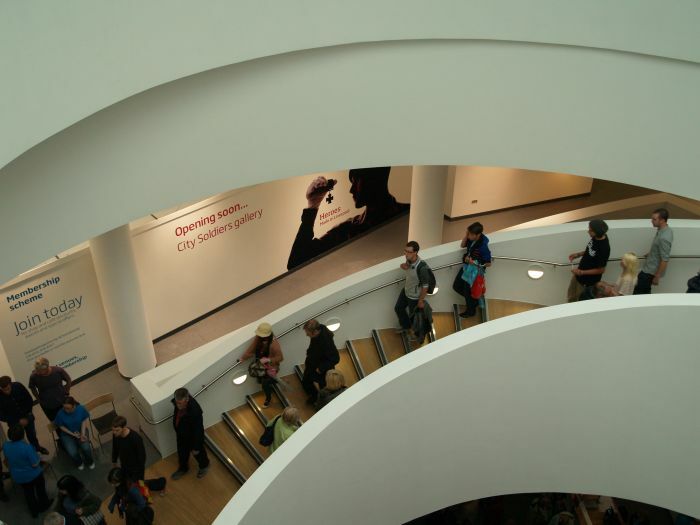 Museum of Liverpool: The spiral staircase. 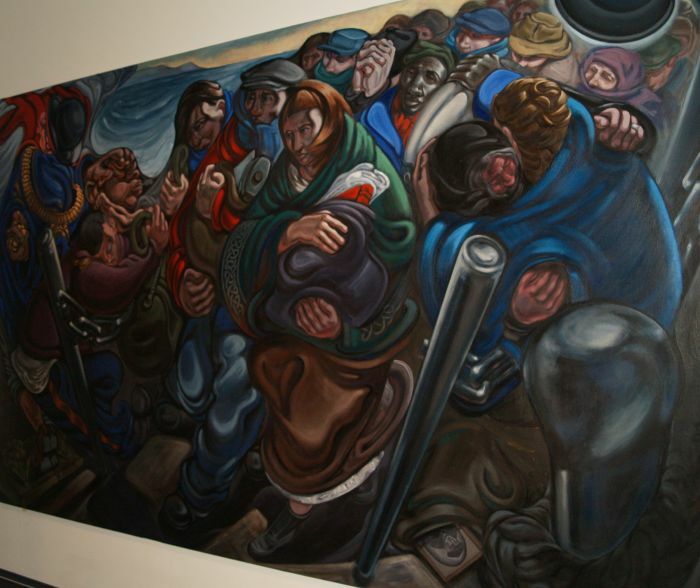 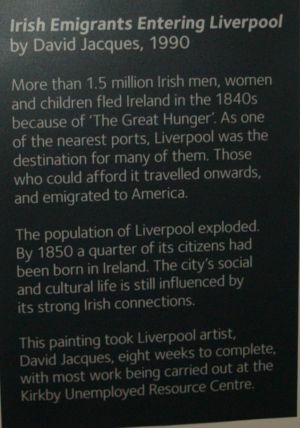 Museum of Liverpool: The painting the 'Irish Emigrants Entering Liverpool' by David Jacques in 1990. 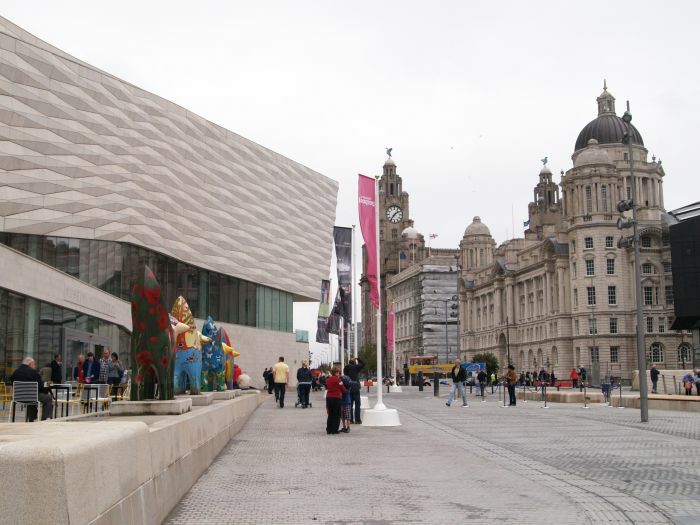 Museum of Liverpool: 'The Builder' and 'The Architect' from Gerard Gardens. 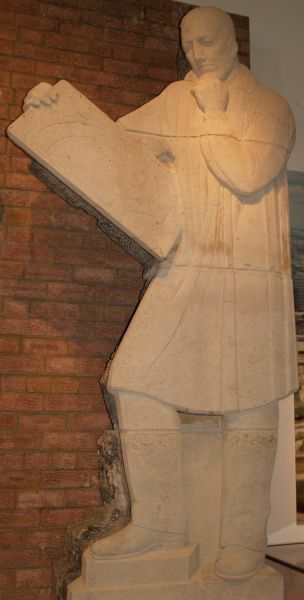 Liverpool Sculptor George Herbert Tyson Smith made these relief sculptures for the Gerard Gardens flats. 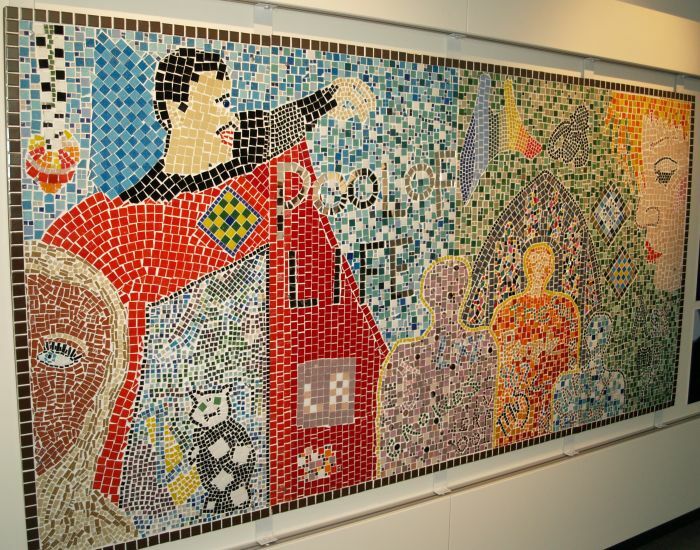 They represent an architect and a builder carrying a hod of bricks and were saved from destruction when the flats were demolished in 1987. 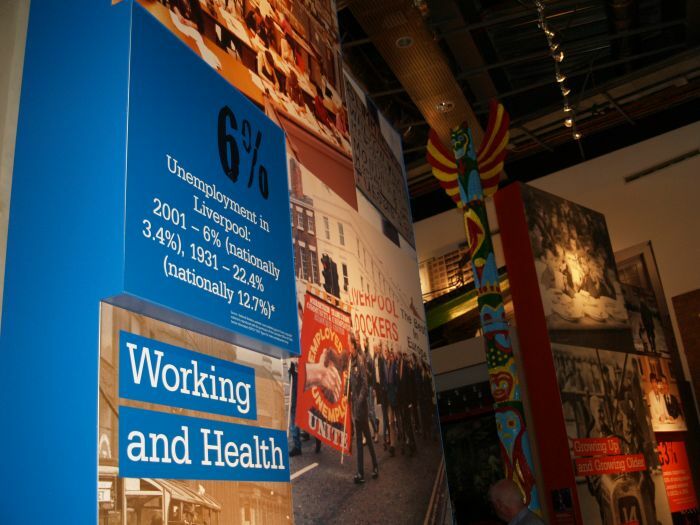 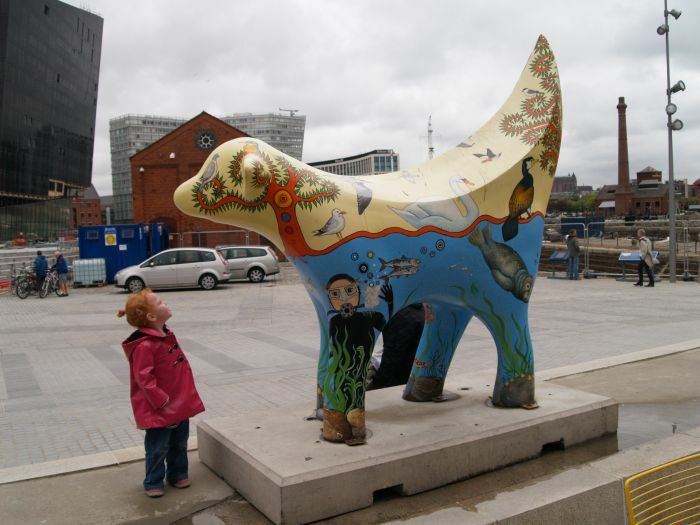 Museum of Liverpool: There are many fine displays of the social history of Liverpool. 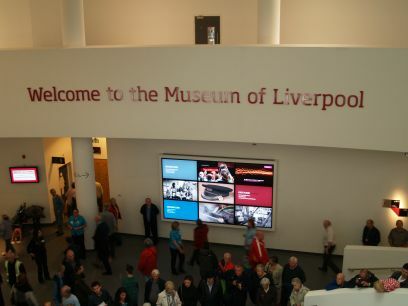 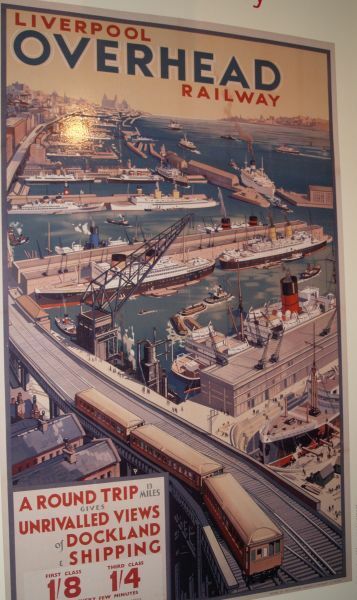 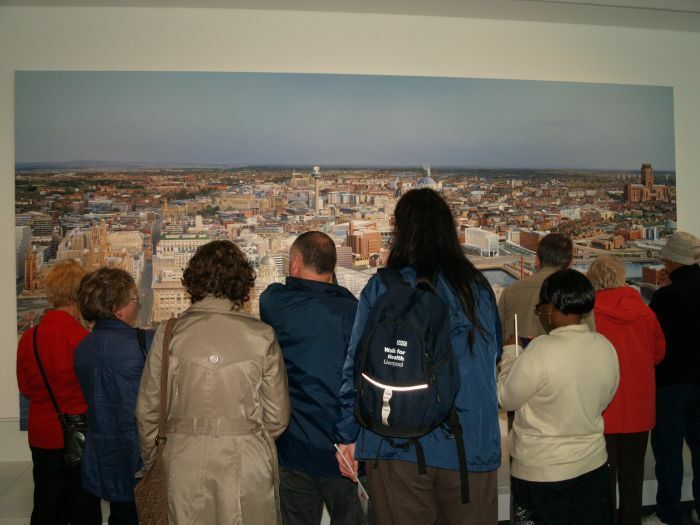 Museum of Liverpool: The 'mural landscape' of Liverpool proved a popular attraction. 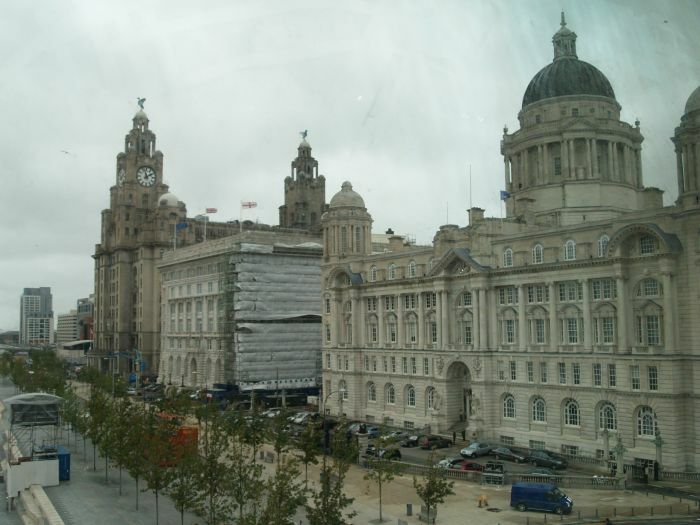 Nearly a clear picture! 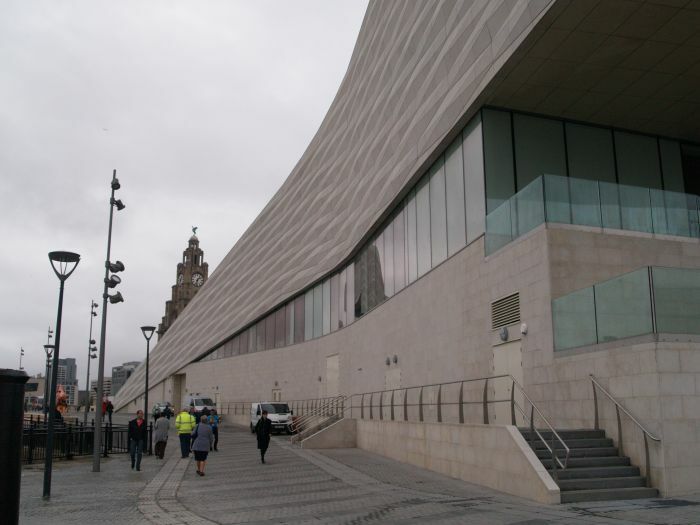 Ben Johnson's 'Liverpool Cityscape'? 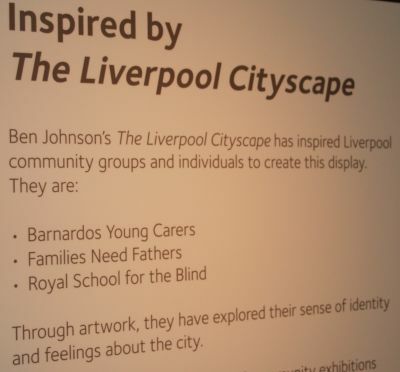 Museum of Liverpool: Ben Johnson's Liverpool Cityscape has inspired some Liverpool community groups and individuals to create this display. 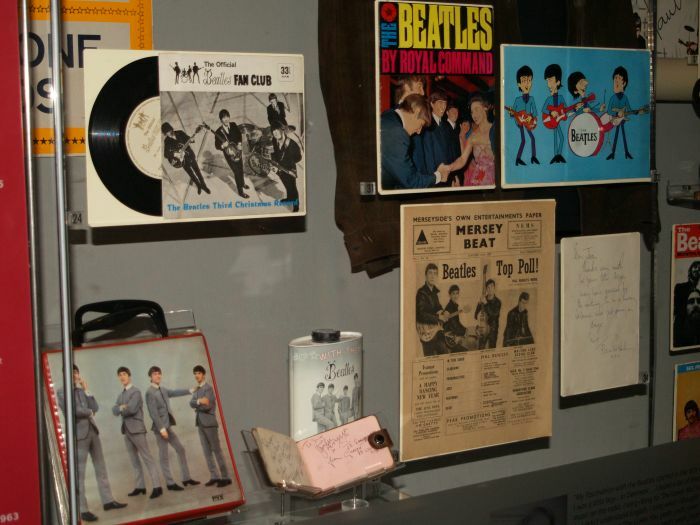 Museum of Liverpool: The Beatles and their Liverpudlian musical heritage are bound to figure somewhere in the museum! 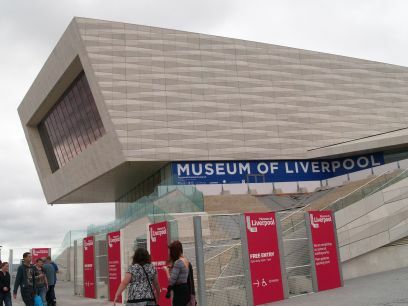 Museum of Liverpool: The artwork-sculpture called 'Wish You where here' by John Cinch in 1984. 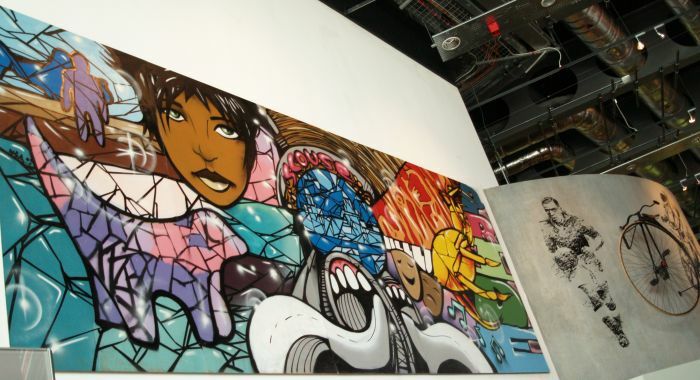 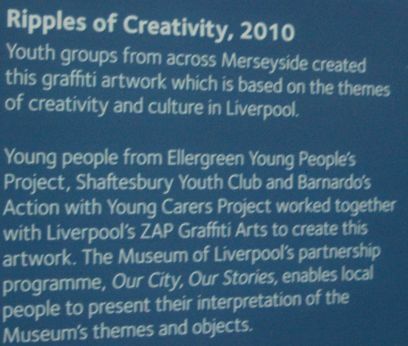 Museum of Liverpool: 'Ripples of Creativity' from 2010, graffiti artwork created by youth groups on the themes of creativity and culture in Liverpool. 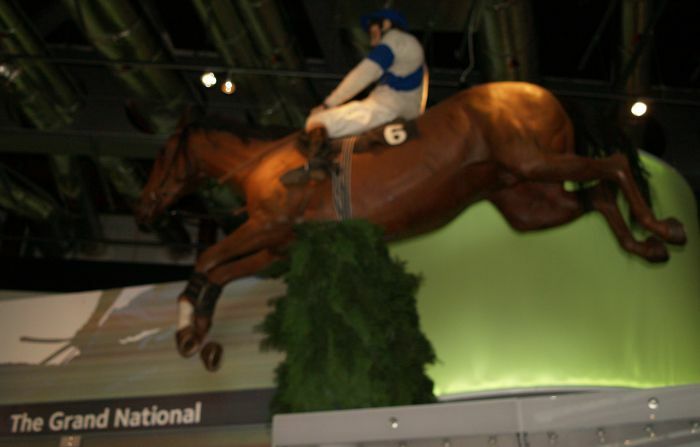 Museum of Liverpool: The Grand National horse race at the famous Aintree Racecourse.